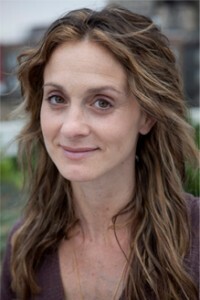 Amy Brill is a writer and producer and has just published her first novel, The Movement of Stars. Her articles, essays, and short stories have appeared or are forthcoming in numerous publications including One Story, The Common, Redbook, Real Simple, Salon, Guernica, and Time Out New York. A Pushcart Prize nominee, she has been awarded fellowships in fiction by the Edward Albee Foundation, Jentel, the Millay Colony, Fundacion Valparaiso, and the Constance Saltonstall Foundation. As a broadcast journalist, she received a George Foster Peabody Award for writing MTV’s The Social History of HIV, and she researched, wrote, or produced over a dozen other projects for the network’s pro-social initiatives. She will read for Fiction Addiction later this month on September 24, 2013. She was kind enough to answer a few questions for us. In your novel The Movement of Stars, you write the story of a girl astronomer—based in part on a similar real-life girl astronomer you learned about years ago. I understand that your desire to write about that figure gestated within you for a long time before you wrote it. What was the catalyst that made you finally write your novel? How long did it take you once you started? “Started” is kind of a subjective term, at least in my case. I first learned about Maria Mitchell, the first professional female astronomer in America, on a daytrip to Nantucket way back in 1996. I was captivated by the idea of her as a young woman, up on her roof, night after night, searching for a comet no one had yet discovered as a way of gaining entree into the male-dominated astronomy circles of her day. But I had no idea how to tell her story. I did loads of research, wrote the same few chapters over and over, and spun my wheels quite a bit in the years that followed. In 2006, I lost most of my research in an air-travel mishap I can only call “Iberiageddon”–and I suppose after that I really “began” the book that became The Movement of Stars. As it turned out, losing the research was the best thing that could have happened to the book–it freed me to tell the story I truly wanted to tell, not the one that had “really” happened, with my own invented plot tagged on like the tail on the donkey. Oh, and while I was at it I got pregnant with my first child, and that was definitely the catalyst for finishing my first draft. Are there other fascinations for real-life stories or subject matter lurking in your head that might grow into another book? How are you approaching that material differently now that you’ve had the experience of writing and publishing a successful novel? There are always many things lurking in my head. I definitely draw inspiration from real-life events but I never know what will take root until I start writing. I don’t want to say too much about what I’m working on, but I can say for sure that this time I will make up more of it up as I go along and fact-check it later! Otherwise I’ll be ready for retirement by the time I finish my next book. Are the names of your characters important to you and your writing process? What an interesting question. Yes, and no. They’re important, of course, in that they ground the character, but they’re not the most important part. I don’t think they impact the process–I think they matter more in terms of how they impact the reader. If you name a character Orson Botticelli instead of naming him, say, Joe Smith, obviously that’s going to point the reader in a certain direction. Not that anyone should ever name a character Orson Botticelli. Last but not least, why do you write? I love stories. I come to writing via a lifelong passion for reading. I can’t think of anything more satisfying, more revealing, more illuminating, more moving, more honest than a well-told story. I’ve never wanted to do anything else.